It’s been just over a week since Barcelona managed to sign Arsenal youngster Marcus McGuane on a three-year deal, and it seems the Gunners are ready to strike back. 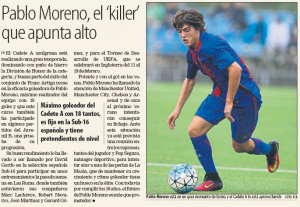 Arsene Wenger’s side is one of those interested in the 15-year-old forward Pablo Moreno, according to Catalan newspaper Mundo Deportivo today. 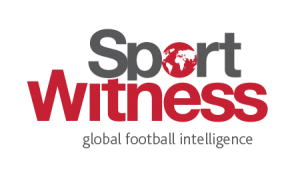 Along with other English clubs, Arsenal would try to sign the player at the end of the season, when his contract with Barcelona is set to expire. The Catalan side are obviously worried about this possibility, and that’s why they plan to speak to the player’s agent so they can extend his contract before that. The newspaper calls the teenager a ‘killer’ as he’s Barcelona’s top-scorer this season in his age level, with 16 goals so far. He’s also been tested in higher academy levels and in the Spanish U-16 national team. Now would Arsene Wenger have enough arguments to convince the youngster to leave Barcelona and join him in London? Arsenal certainly have a good record of making stars out of La Masia products, so it’s a possibility.